Today's prompt: According to science, we all inherit something from our natural families. If you are in reunion, are there any traits or characteristics you know you inherited? How does that make you feel? If you are not in reunion, what do you hope to share with your natural family? How important is genetics to you personally? 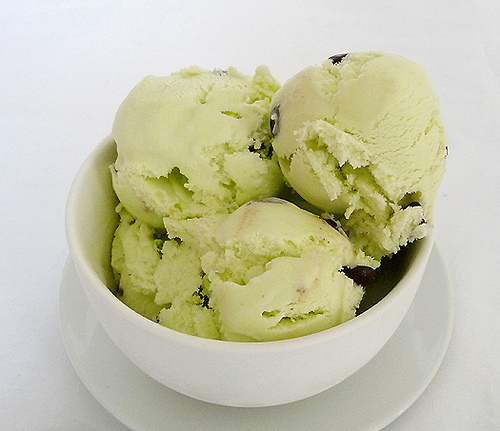 Who would have thought a preference for mint chocolate chip ice cream could be inherited? I certainly wouldn't have, until I found out that my birth father's favorite flavor is the same as mine. I expected to have obvious physical similarities to my birth family members, like the freckles I share with a birth sibling, the hair color I share with multiple relatives, and the small hands that are like my birth mother's. But I didn't expect an aunt's home to be decorated in the exact same teal color as my own or to find a sister who is just as fanatical about purple as I am. I've heard many adoption proponents claim that a child's biology is less important than the environment she is raised in. These people attempt to skew the nature vs. nurture argument in their favor, to prove that someone who lives her whole life with strangers can be just as content as the person who's always known her biological relatives. But even before I met my birth family, I knew instinctively that biology mattered. I desperately wanted to see someone who looked like me. Even more, I wanted to know someone who thought like me. I don't mean to put down my adoptive family in any way by saying this. I know they love me, and I know they did everything they could to give me a happy, healthy start in life. But I never felt like they "got" me. I always thought my mind must be wired differently, because I never came to the same conclusion about a situation as either of my adoptive parents, which made for quite a lot of conflict in our household. Wanting to connect with someone on a deeper level was a major motivation for me in searching for my birth family. Simply put, I needed to know people who were like me in order to feel that I was a valuable person. I realize this is a difficult concept for someone who's always known her own biological family to understand. It felt as if I had been dropped onto Earth from outer space rather than being born from another human. I felt utterly disconnected. When I reunited with my birth mother, I discovered why I was so drawn to the ocean and to playing the piano, because she was also drawn to those things. And I also learned where my outspokenness and short temper come from. Perhaps the most amazing discovery happened when I was searching for my birth father. I had contacted two different men who potentially could have been my father, and both of them wrote back to me. One of the men enthusiastically proclaimed that he was my birth father while the other one adamantly protested that he was not. When I read their letters, however, I knew in my heart that the one who protested was my father. His written voice, right down to the way he constructed his sentences, sounded just like me. Faced with the same situation, I would have written exactly the same letter. A DNA test proved my instinct to be correct, and validated what I'd known all along, that biology matters not only to the way we look or the medical issues we inherit, but also to the very way we think. My reunion has also proven, though, how much a person's personality is shaped by her environment. As much as I wanted to be a full-fledged member of my birth family, I realize now that I will never completely gel with them because my life experience has been so different from theirs. I've found myself in conflict with birth relatives over things like our parenting styles and holiday traditions. Even though there are many traits we have in common, there are also many characterstics I picked up from my adoptive family that I not only can't change but wouldn't want to. After seven years in reunion, I understand how profoundly both nature and nurture have affected the direction of my life and the person I've become. Even though I'm still struggling to integrate my birth family members into my life, I am more content with myself now than I've ever been. I don't think I would have been able to come this far in my self-realization without finding that missing piece of the puzzle--my biological family.